Are you a wide leg pant or slimm cut pant lady? 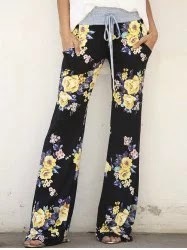 Actually I preffer slimm cut pants or leggings and sometimes boot cut as a short woman, but those floral pants from gamiss are really very lovely. If you want a little bit hippie look then look at my list bellow. There are so many pants in every color and at different sizes. You can find them at sizes S, M, L and XL. Floral print hight waisted wide leg pants. For more informations please look here . 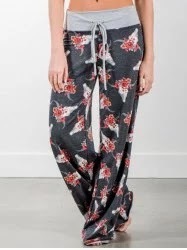 Wide leg flower print casual pants. For more informatiosn please look here . 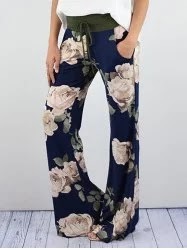 Floral print wide leg pants. For more informations please look here . 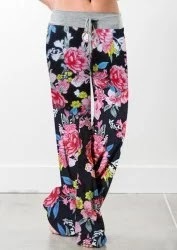 Floral print hight waisted pants, black. For more informations please look here . 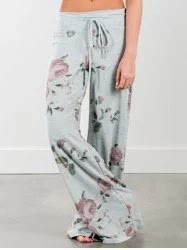 Drawstring floral print wide leg pants. Color mixed. For more informations please look here . 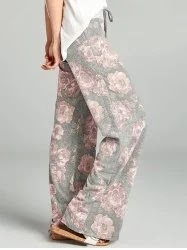 Floral print wide leg pant, gray. For more informations please look here . 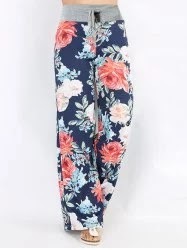 Drawstring hight waisted floral palazzo pants, deep blue. For more informations please look here . 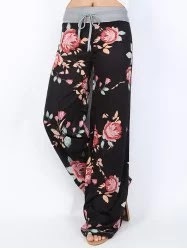 Floral print wide leg pants, black. For more product informations please look here . 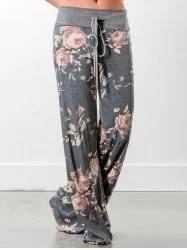 Drawstrings floral wide leg pant gray. For more informations please look here .